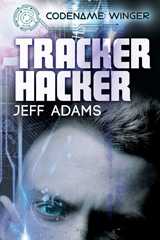 Check out Jeff’s books, including the hockey romance series Hat Trick, the young adult cyber thriller series Codename: Winger and more. Find out about Will’s debut novel The Hockey Player’s Heart. which he co-wrote with Jeff. Plus you can read his archive of Cool Cinema Trash articles. Jeff & Will’s Big Gay Fiction Podcast is for readers and writers of gay romance fiction. If you can read it, write it, watch it or listen to it, we’ll talk about it on this weekly show.